"It's like an intertwining of talents and souls, and Dundalk is a great melting pot for music", says Neil Watters of Dystopian Disco. Dystopian Disco is the name of the night that takes place four times a year, run by Neil and the other members of the Dystopian Disco crew. The diverse make up of the Dystopian Disco crew, reflects the melting pot of diverse musical tastes, and dynamics of the music scene in Dundalk, according to Neil. "What happens in Dundalk", Neil says, "is you've got these bands, and he's in that band and she's in that band, and when one joins that band, this one sort of goes on hold." "Even the Evil Presidentes band", (One of Neil's previous ventures), "had Shane Clarke from Elephant in it; Colin Berrill; Damien Carroll from Podracer; Jagger Murray, who's a heavy metal guitarist from Black Swan..."
"But when someone had a gig with someone else, we couldn't play. And that happens a lot. David Noonan, who's Just Mustard, is the drummer in L'Arri. But Noonan's in Dystopian Disco as well. And so is Charles, from TPM - who are huge and they're also the Mary Wallopers who play all the trad." Conall from Oceanographers is the fourth member who makes up the Dystopian Disco crew. "We're doing four gigs a year around every equinox, there's a slight occult nature to this", Neil says. Dystopian is a very dark work, its the opposite of utopian. Whereas, disco is one of the most upbeat words you're gonna hear"
"That's the duality I'm interested in. The light and the dark. The darkness of the music, with a wee bit of fun." "The music we're playing is all post punk. We're not playing disco, we're not playing soul, we're no playing funk, hip hop, we're not playing rock n roll." "There's post punk, there's avant garde, there's art rock....", Neil rhymes off a list of sub genres and acts that visitors to the night might hear, including The Smiths, Joy Division but also more recent acts including, Sigur Ros, The Strokes and many more." 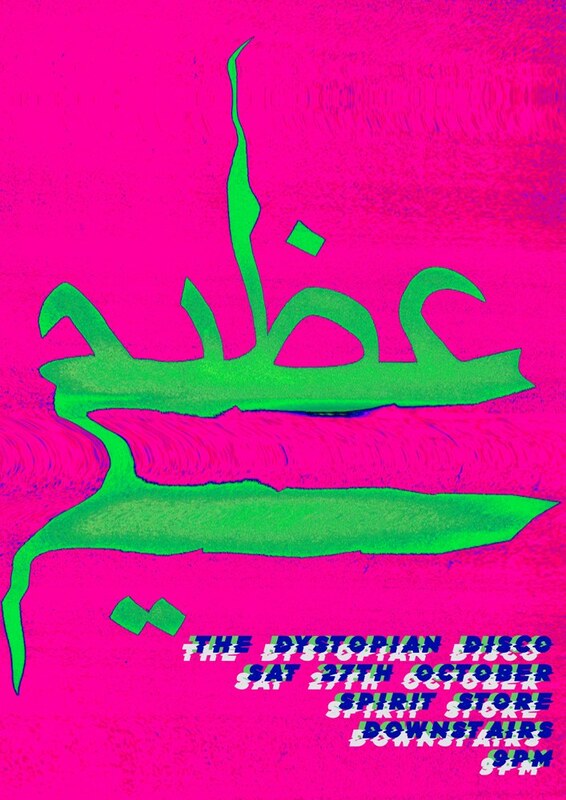 The Dystopian Disco takes place downstairs in the Spirit Store on Saturday 27 October, starting at 9 pm. For anyone looking for something out of the ordinary to go to on the Halloween weekend, we can't think of a better choice!